Pollinators are essential to our environment. The ecological service they provide is necessary for the reproduction of nearly 70 percent of the world’s flowering plants, including more than two-thirds of the world’s crop species. The United States alone grows more than one hundred crops that either need or benefit from pollinators, and the economic value of these native pollinators is estimated at $3 billion per year in the U.S. Beyond agriculture, pollinators are keystone species in most terrestrial ecosystems. Fruits and seeds derived from insect pollination are a major part of the diet of approximately 25 percent of all birds, and of mammals ranging from red-backed voles to grizzly bears. In many places, the essential service of pollination is at risk from habitat loss, pesticide use and introduced diseases. Limiting the use of pesticides in your garden ensures that bees that you have invited into the garden are not accidentally poisoned. Native bees are attracted to your garden by the nectar and pollen, but they come into contact with any chemicals that may be present. 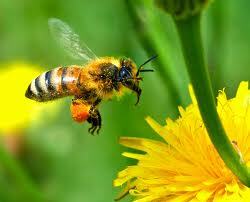 High doses of pesticides can kill foraging bees outright. Low doses of pesticides can disrupt the innate orientation and navigation skills of the foraging bee, causing it to lose its way back to the nest. When the pesticide is brought back to the nest, it will be transferred to nestmates directly or incorporated into the honey, where it can alter the development of larvae into workers and queens, and thereby affect future generations of the colony. 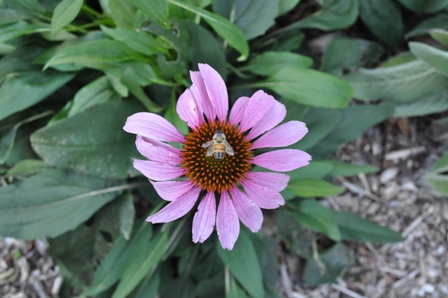 It is important to plant flowers that bloom successively over the spring, summer and fall seasons in order to provide pollen and nectar resources to the native bees of all seasons. As some attractive plants die out, others will take their place to ensure ongoing attractiveness to seasonal bees. It's interesting to watch how the garden changes as new species bloom and others fade away. Native bees are mostly solitary. Many of them nest in the ground. 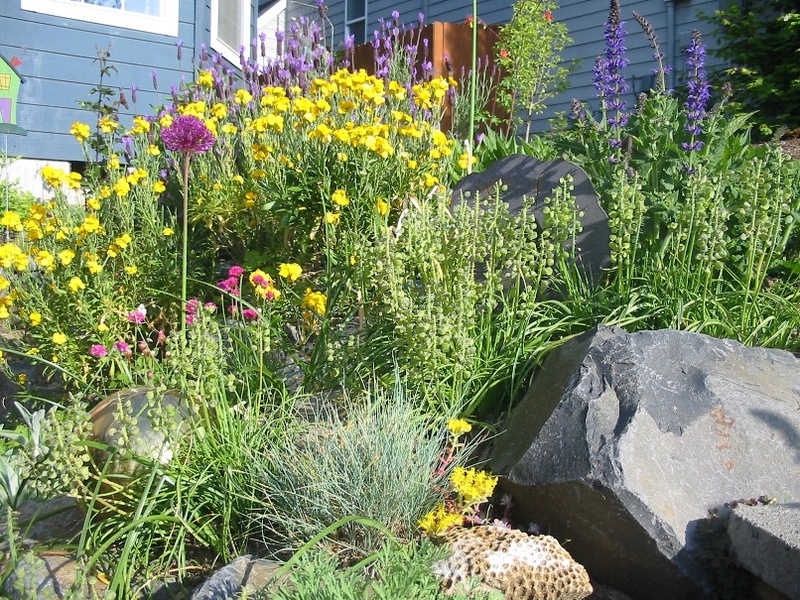 To provide habitat for them, be sure to leave some bare ground in your garden. They can't burrow through a thick layer of mulch or a thin sheet of black plastic. Some types of native bees nest in holes in dead trees. To create habitat for them, you can build a nest box or buy one at a local shop.